Be a part of Huntsville’s Fifth Annual Pro Bono Brews, Presented by Siniard, Timberlake, & League, P.C. , on October 20, 2017, from 6:00-10:00pm at the Historic Huntsville Depot Roundhouse. 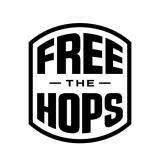 Pro Bono Brews is a casual exciting event showcasing premier craft beers from over seventeen Alabama breweries and benefiting the Madison County Volunteer Lawyers Program and Free the Hops. Enjoy a crisp fall evening full of great beer, wine, awesome food, live music and a silent auction! The evening will be capped off with several fan voted awards, including the “Pro Bono Cup” to the favorite brewery of the evening. Join us as we celebrate fall and craft beer, all for a good cause! Have you ever thought about what the words “Justice For All” mean to those who cannot afford a lawyer to help with basic needs, such as preventing an unlawful eviction, obtaining a divorce or child support, defending against a garnishment, filing bankruptcy, or obtaining benefits needed to survive? Over 940,000 Alabamians live in poverty. At least one out of four of these people have legal problems, but cannot afford legal representation. Without legal representation they have two choices: navigate the legal system without assistance, or forego legal rights altogether. The mission of the Madison County Volunteer Lawyers Program (“MCVLP”) is to promote equal access to justice through the delivery of pro bono legal services to low income citizens in Madison County and to promote volunteerism among Madison County attorneys. The MCVLP is made up of over 340 volunteer attorneys in the Madison County area. The MCVLP accepts clients who are residents of Madison County or who have cases pending in Madison County court, and generally have a household income of no greater than 125% of the federal poverty guidelines. Eligibility is determined by the MCVLP during intake. No fee-generating, traffic court or criminal cases are accepted. I have represented myself in court several times, and always felt like I got the short end of the stick. My volunteer lawyer knew how to get the information I needed, and stood up for me in court. We got a great result, and even after my court date she has given me assistance in my life. It means a lot to me that she took the time to help me.